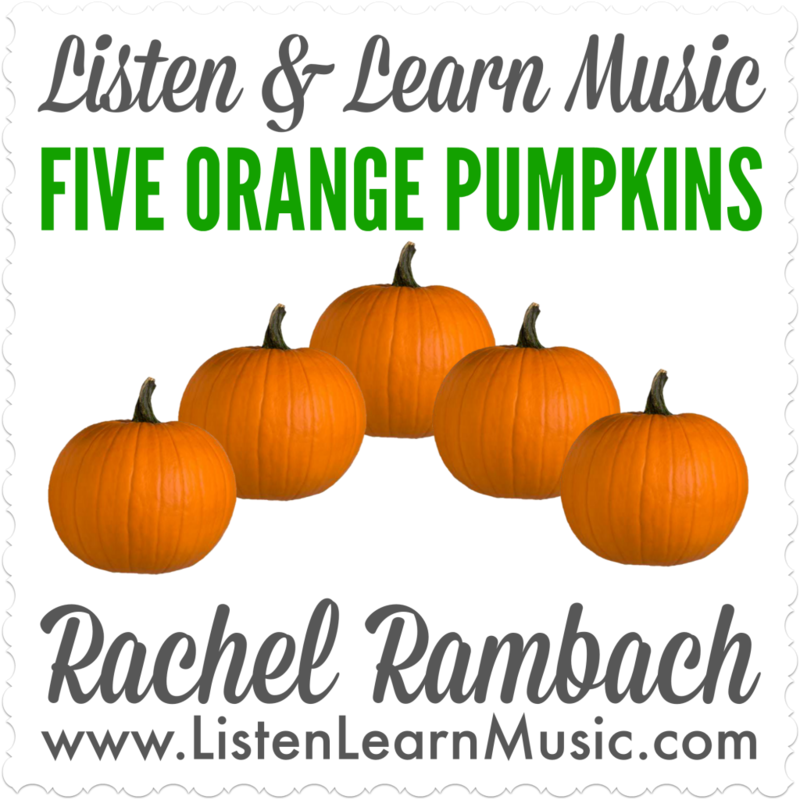 Between singing about them with my clients, admiring them with my two-year-old, and seeing them everywhere, it sort of feels like pumpkins have taken over my life…and I’m okay with that. It’s fall, after all, and pumpkins are the orange ambassadors of this season. I’ve written many a song about them, and this one is the latest. I’ve been using it in my early childhood classes as well as music therapy sessions to work on counting, 1:1 correspondence, and attending skills. I cut out and laminated five orange pumpkins so that my students would have a visual representation, and as we sing each verse, we take one away and count the remaining pumpkins. It would also be fun to grab some mini pumpkins for a more tactile experience. What other pumpkin songs are you singing this fall? 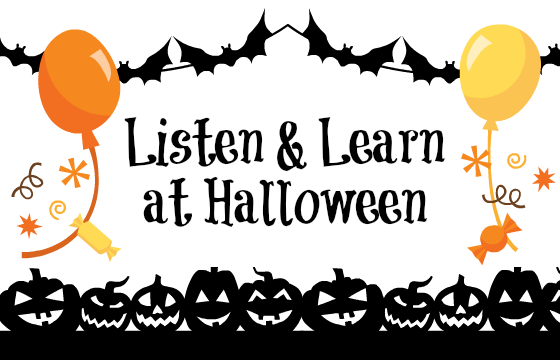 Here are a few more (along with some additional Halloween-themed tunes) on my Listen & Learn list. Members of Listen & Learn Plus! have access to all of these songs (along with tons more) right inside the Dropbox folder I share with them — come over and join us! I wish I could take credit for the adapted Halloween song and activity I’m sharing with you today, but alas, I cannot. The mother of one of my students directed me to a pin via Pinterest, which led me here. It’s a Halloween version of Eric Carle’s Brown Bear, Brown Bear, which we have sung in music therapy sessions many times to the tune of the “Pinwheel” theme song. The adapted words and accompanying printable pictures are available at First Grade al a Carte. I put together my own little visual to accompany the song, which I sing to the same “Pinwheel” tune. If you’re not familiar with it, check out my recording of “Brown Bear, Brown Bear” to hear it. It’s very simple and repeats throughout the entire song. Click here to download my visual. 5 days left to make use of all the great Halloween songs and activities — including this one — that I’ve written and/or collected throughout the years. Any favorites you’d like to share? With Halloween just a week away, I’ve been getting lots of use out of my own collection of songs on this topic AND looking around the web for some new inspiration. Since you’re probably doing the same, I thought I would share the tunes I’ve written and/or adapted to sing at Halloween time. Black cats are the iconic Halloween animals, and this particular black cat has the starring role in my echo song, which I wrote with the objective of repeating after me and singing with me. This song takes you through the trick-or-treating process step by step, including how to do so safely and politely. Candy is the best part of Halloween, right?! So of course there I have a song specifically dedicated to the goodies. Anytime I can sing about colors in association to a holiday, I take full advantage of the opportunity. Halloween is perfect for that, since orange and black are THE colors. A sweet little tune about two pumpkin pals in a patch. You’ll have to listen to the song to hear the full story and how it turns out for good ‘ol Patrick and Polly. This is one of the first Halloween songs I ever wrote. 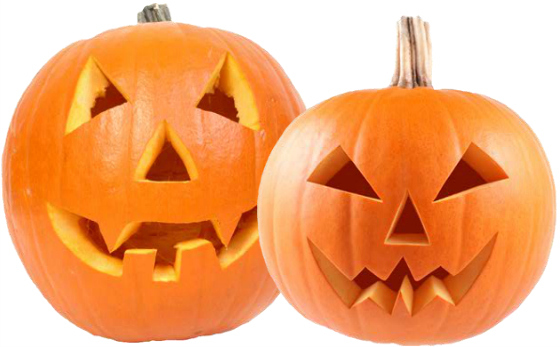 It’s an overview of Halloween and the things we see around us at this time of year, set in a minor key to match the tone of the big day. Far and away, the most frequently sung and requested Halloween song in my repertoire. It’s a great one for working on body part recognition and identification. Next week I’ll share a fun Halloween song and activity that one of my students’ moms actually found on Pinterest and passed along to me. In the meantime, I hope these songs provide some spooky inspiration as we enter the final countdown to Halloween day! The inspiration for the song “Halloween Stew” goes back over twenty years to my elementary school days. My music teacher introduced us to “Witches’ Brew” by Hap Palmer, and it has stuck in my head ever since. I first adapted his original song a few years ago, here’s a video I made of my version. I recorded this year’s version on the fly and included only the letters A through D, while the visual aide goes up to the letter H. It’s intended to be more of a starter resource for you to take and adapt on your own or with your students. The mp3, lead sheet and visual aide is available to members of Listen & Learn Plus! for download. During a recent music therapy session, a student’s mom mentioned that her daughter does well with “echo” songs (she used the “Mahna Mahna” song as an example, and even played a video of my student singing it with her sister). I did some googling to find a few echo songs we could use in our sessions, and came across “The Other Day I Met a Bear” — that old camp song just about everyone knows. But after taking a look at the lyrics, I wasn’t crazy about them and decided to use the song as a basis for my own echo song. Since Halloween is just around the corner, I traded a bear for a black cat and went from there. It’s a short, simple song with basic lyrics and an easy-to-sing melody: perfect for addressing the objectives of repeating after me and singing with me.